Knesset committee decides to delay vote on applying Israeli law to Ma'aleh Adumim due to visit of Trump adviser Jason Greenblatt. JTA - A Knesset committee vote on a bill that would annex the city of Ma'ale Adumim was postponed to avoid a conflict with visiting Trump international negotiator, Jason Greenblatt. The Ministerial Committee on Legislation was scheduled to take up the bill, which would subject the city to Israeli law, on Tuesday, but delayed the discussion due to the visit by Greenblatt, President Donald Trump’s adviser on international relations, who is meeting with Israeli and Palestinian leaders to gauge attitudes on peacemaking. Education Minister Naftali Bennett, head of the Jewish Home party, agreed on Monday to postpone the discussion of the bill shortly after a five-hour meeting in Jerusalem between Greenblatt and Prime Minister Netanyahu. Greenblatt was scheduled to meet with Palestinian Authority chairman Mahmoud Abbas in Ramallah on Tuesday. The bill’s sponsors had initially rejected a request to postpone a vote on the legislation for three months. Discussion of the bill had also been postponed in late January, following Trump’s inauguration, until after last month’s meeting between the new president and Netanyahu. 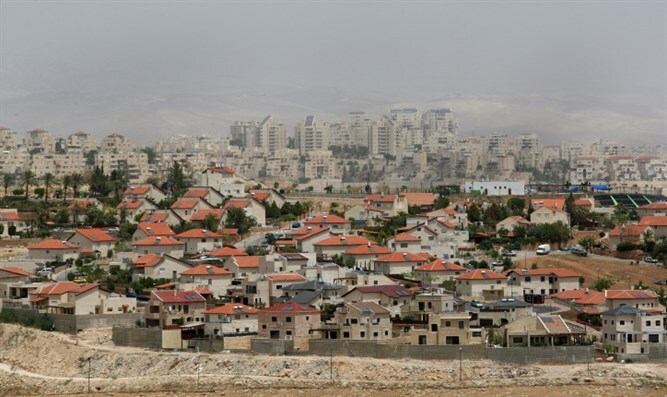 Some 50,000 Jews live in Ma'ale Adumim, located at the northern edge of the Judean Desert, close to Jerusalem, and one of the "settlement blocs" which Israel has said it intends to retain under any peace deal.